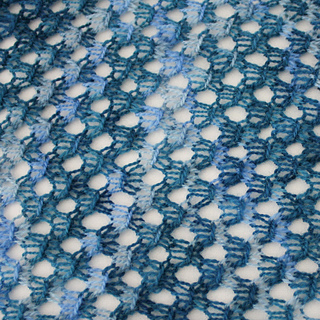 This pattern is for a scarf for an adult human. 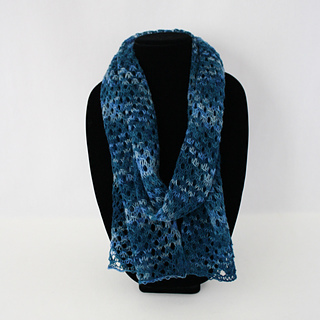 This scarf features an easy four-row repeat lace pattern. 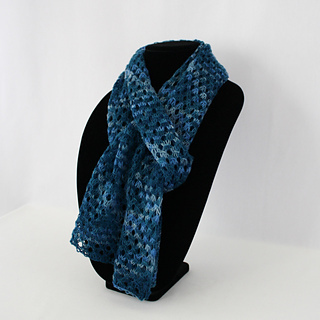 Make it as long or short as you like! 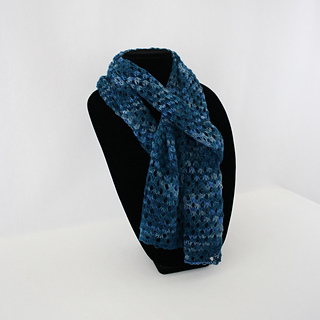 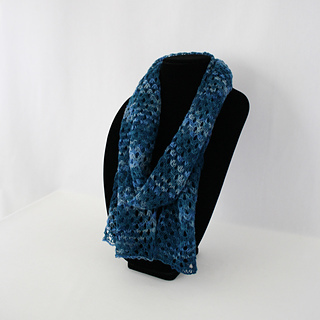 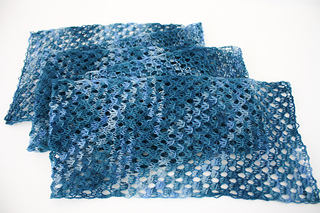 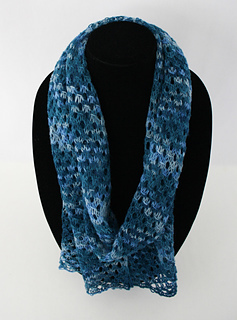 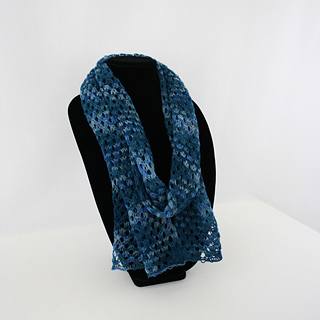 This scarf is knit flat on size 9 (5.5mm) knitting needles using lace weight yarn. 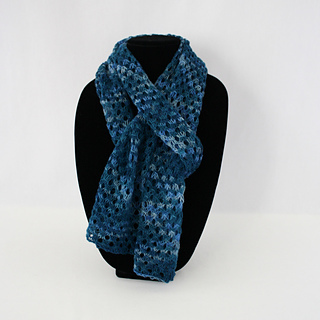 This pattern is written and is a snap to memorize, making it a great on-the-go or while-doing-other-things project. 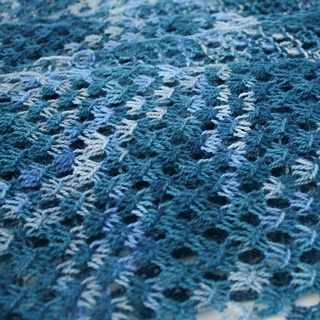 Gauge is not critical for this pattern and you could probably knit it from other weight yarns.